Soaking in the last few days of summer. This means enjoying and improving the backyard– a constant work in progress. The summer garden is winding down but the pomegranate tree is coming around. 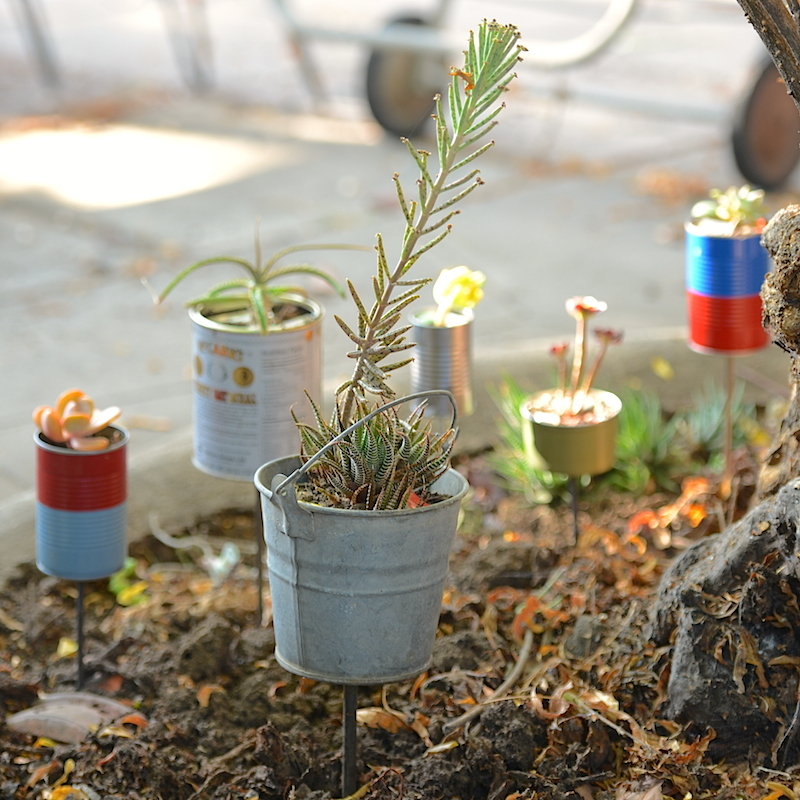 It looked a bit lonely, so we decided to give it some succulent company. 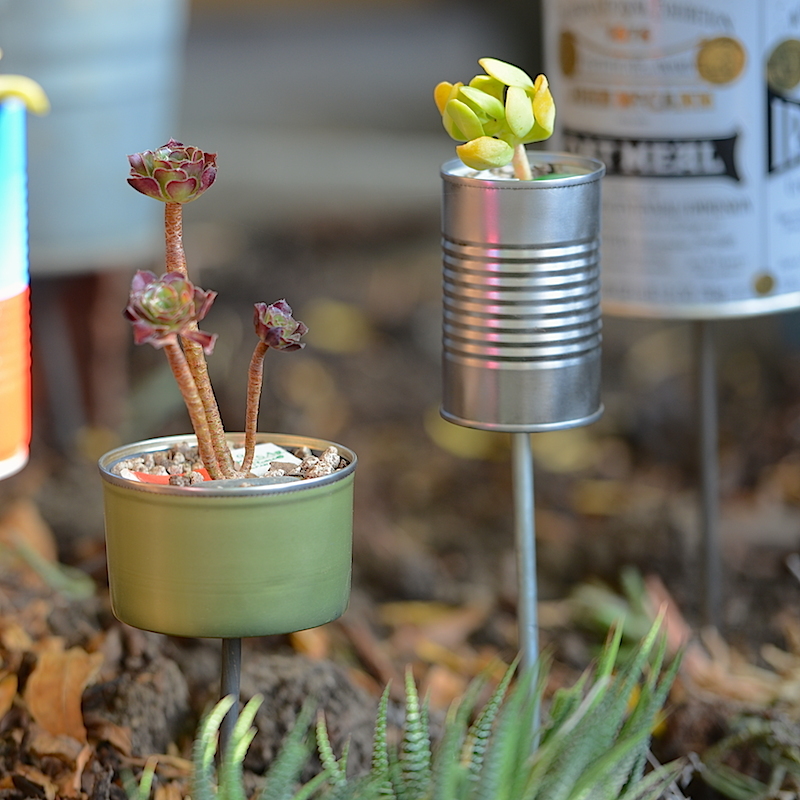 A few clippings found new homes in some old tin cans. 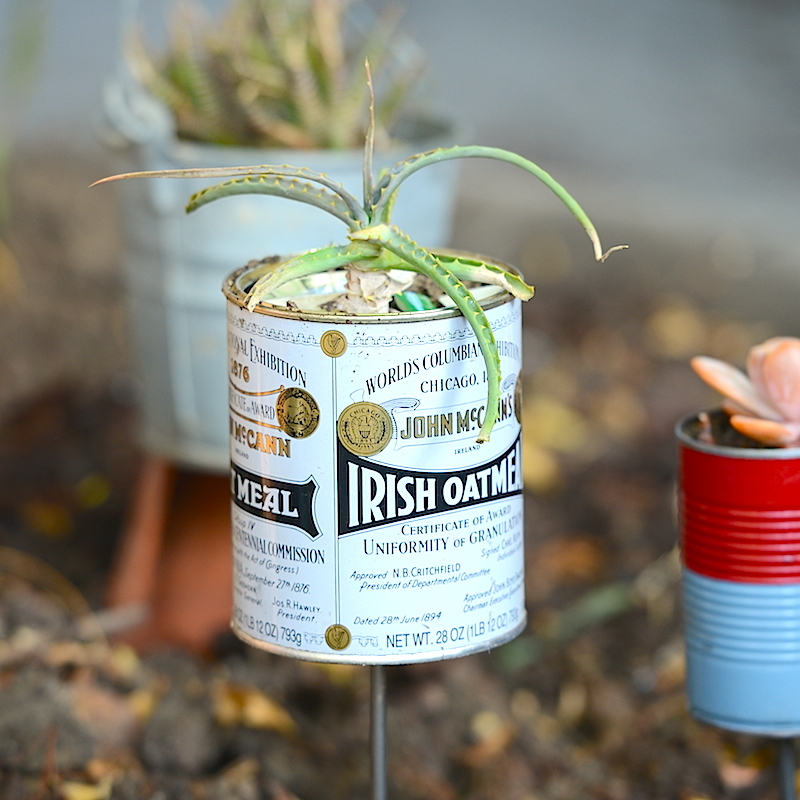 With some ingenuity and some hardware scraps those tin cans cheat the fate of the trash heap once again!